Officials from the Interior Department's Bureau of Land Management should have attempted to predict greenhouse gas emissions linked to drilling and downstream uses of the oil and gas from the Wyoming leases, according to Judge Rudolph Contreras for the U.S. District Court for the District of Columbia. The National Environmental Policy Act also requires BLM to put those estimates in the context of broader emissions forecasts and other federal projects, he found. "By asserting that these crucial environmental analyses are overly speculative at the leasing stage and more appropriate for later, site-specific assessments, BLM risks relegating the analyses to the 'tyranny of small decisions,'" Contreras, an Obama appointee, wrote in his opinion yesterday. "NEPA is intended to avoid that outcome," he continued. "Given the national, cumulative nature of climate change, considering each individual drilling project in a vacuum deprives the agency and the public of the context necessary to evaluate oil and gas drilling on federal land before irretrievably committing to that drilling." WildEarth Guardians and Physicians for Social Responsibility sued BLM in 2016, while President Obama was still in office. Their challenge focuses on five lease sales BLM held between May 2015 and August 2016. BLM fell short of its duty to take a "hard look" at the climate impacts from the sales, the plaintiffs contend. The groups, represented in part by the Western Environmental Law Center, pushed the court to rule swiftly in their favor in June 2017, citing concerns about the Trump administration's push to open more public lands for oil and gas development. The law center has also helmed lease sale challenges in Colorado and Utah as part of a larger push for more robust climate reviews under NEPA (Energywire, June 13, 2017). NEPA reviews associated with the sales will be sent back to BLM, but Contreras declined to vacate the leases. BLM may be able to do that analysis and still support the conclusions it reached in its environmental assessments and findings of no significant impact, he found. "That determination does not excuse BLM from giving serious consideration to the Court's concerns," Contreras wrote. 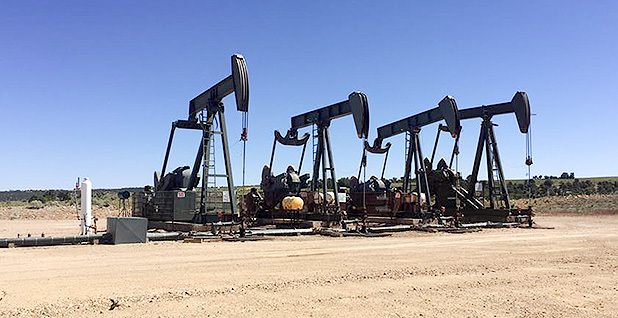 Until BLM completes its supplemental analysis, the agency may not approve new oil and gas wells on the Wyoming leases. Contreras said he would retain jurisdiction over the case until BLM corrects the NEPA problems. The agency does not comment on pending litigation.